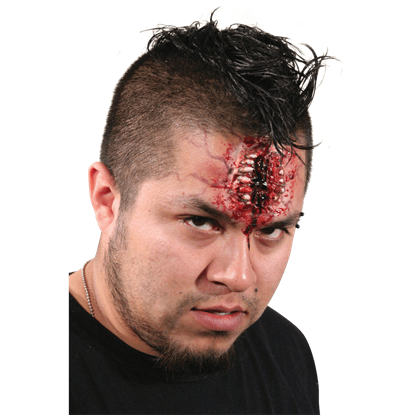 It is the little details that really make a costume shine and excel. 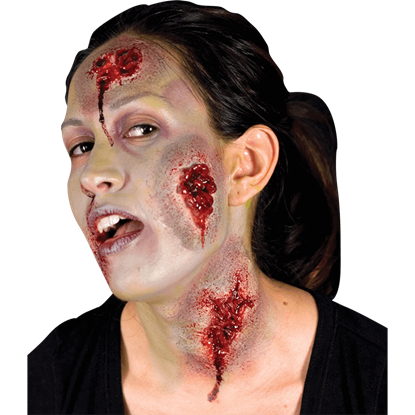 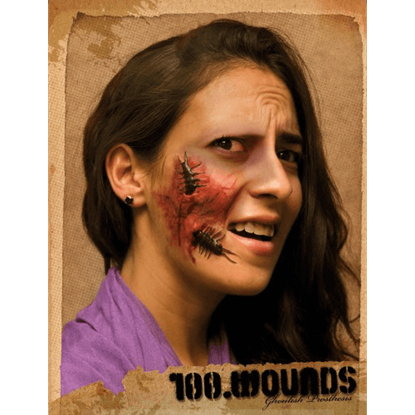 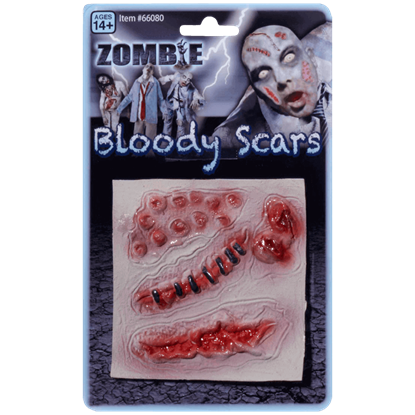 And this 100 Wounds Prosthetic is truly one of those little details that can be added to a variety of costumes to create an impressive and unforgettable appearance. 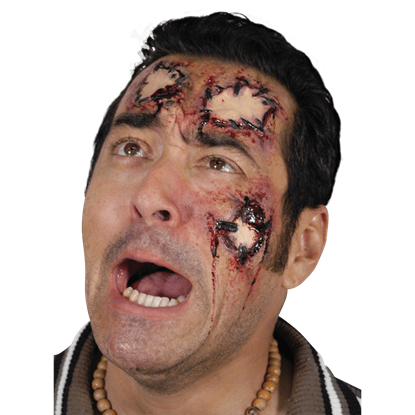 Some perilous accident has taken place - or was it an accident? 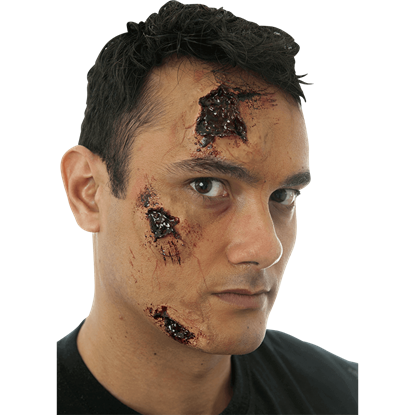 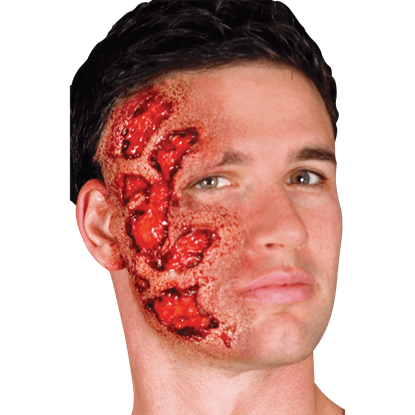 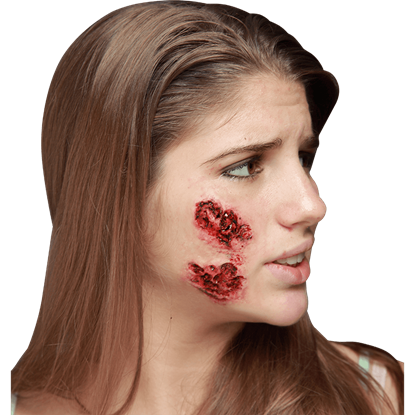 With the Acid Attack Prosthetic, you can make yourself look as though you have been the victim of a brutal attack, showing off cruel and grotesque acid burns. 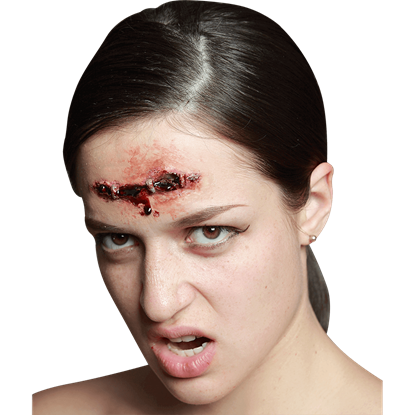 You insisted that you did not need a doctor - you could take care of this gash yourself! 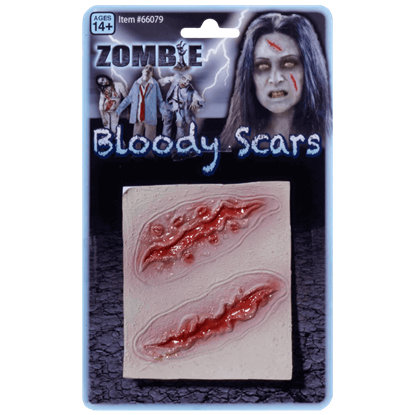 Now, show off the results with the Amateur Staples Prosthetic, a wound that gapes open despite the haphazard staples holding the skin together.